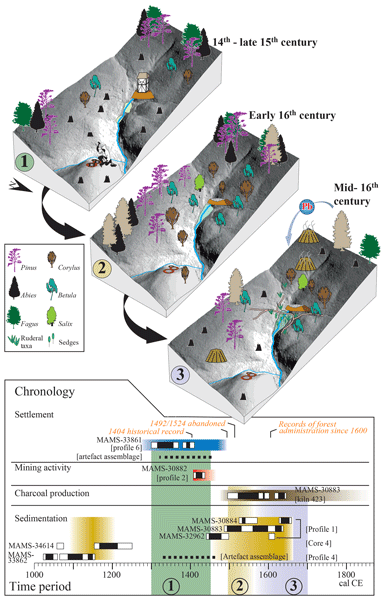 Geoarchaeology is a cross-disciplinary scientific field that integrates both geoscientific and archaeological approaches to study human–environmental interactions in former landscapes. During the past few years, this discipline has increasingly become an integral part of both archaeological practice and research. In addition to case studies from different regions and archaeological contexts, this special issue will pool contributions that deal with new methods and concepts in this rapidly evolving discipline. This paper deals with recent prospections in the Roman vicus Belginum. All finds were analysed in a QGIS and ArcGIS environment together with lidar scans and the 2013 geomagnetic data. The distribution of bricks is in particular connected to the individual plots, while the pottery is mainly concentrated in the backyards. 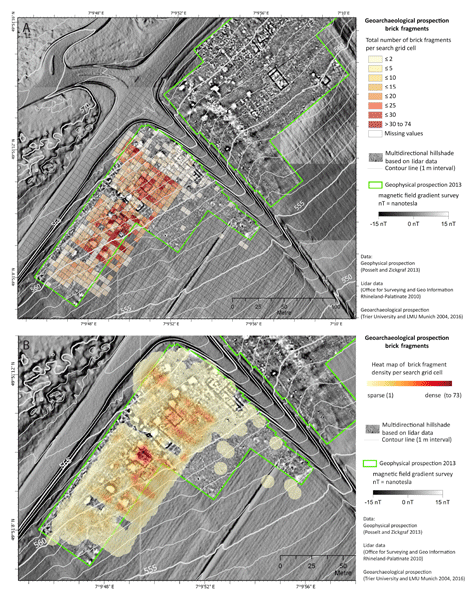 Regarding surveys in other Roman vici, the brick distribution could be a helpful indicator to identify plots when no geophysical information is available.